Nachos are nothing but corn/maize tortillas that are cut up and fried to crispy. These tortiallas are usually made from the white variety of corn that is treated with several ingredients before being milled to a fine flour which is only slightly coarser than the regular wheat flour. 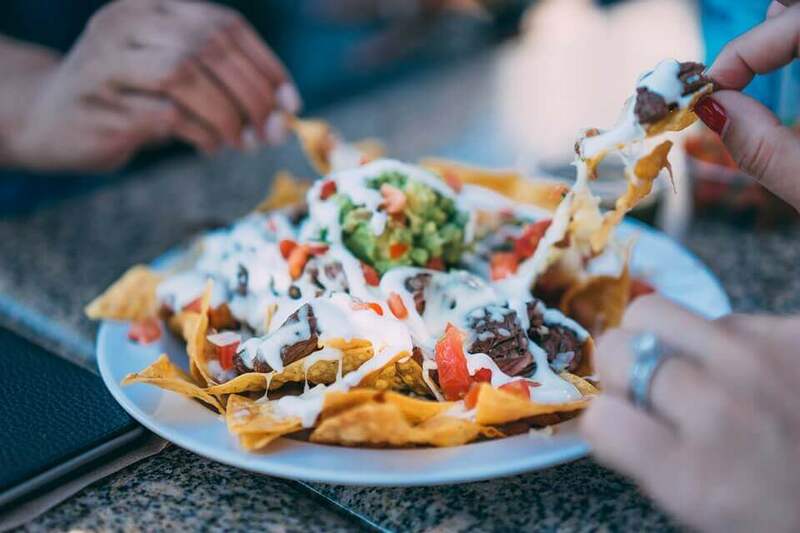 Nachos were bought to the world by Ignacio Anaya a cook who worked in the restaurant called “El Modern” in Piedras Negras, Mexico. One fine evening the wives of American soldiers entered the restaurant, just before it was about to close and ordered something to eat. Ignacio threw some totopos in a pan, sprinkled cheese on top, and popped them in the oven because this was the only things he had left. Why are Nachos triangular in shape? 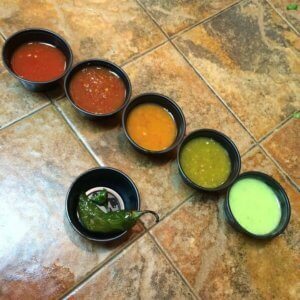 Triangular shape helps in the ease of scooping up the sauce of your choice , especially tomato pieces in salsa sauce which can be hard to scoop if your nacho isn’t rectangular/circular shape. What are some of the best dips for Nachos to dip in? Who is the largest consumer of Nachos ? We would you say that Nachos are eaten regionally in Mexico and more often found eaten by and sold by the Mexican diaspora in the United States. They became a staple food of border restaurants and grew in popularity in within restaurants in Texas, the Southwest and the USA. But you probably won’t find nachos on the menus of most restaurants in the rest of Mexico. In Mexico, nachos are a regional food item. So basically, Unites States and some regions in Mexico are the biggest end consumer of Nachos. What would happen if you would daily eat 1 packet of Nachos? 100 gram packet nachoes with cheese dip will have around 306 calorie which comes from carbs, fat and little from protein. It has around 17 grams of fat, 32 gram of carbs and around 8 grams of protein. Now if you keep your daily calorie intake in check and have 1 packet of nachos nothing will happen. If you keep eating you will land up in a calorie surplus state which your body will store in the form of fat. Tacos are made with two ingredients: a soft corn tortilla and meat. With these two ingredients, you have a taco. But most of the people in Mexico also use some of the other ingredients to make it tastier like beans, coriander, onions, avocado, lemon, salt, homemade sauce, radishes. Nachos are made with crispy corn tortilla cut in triangular pieces. Then you put beans, beef and cheese on it, put it in the oven until the cheese is melted and then put tomato, onion and green chili on it. Calories – Who, What and Why?